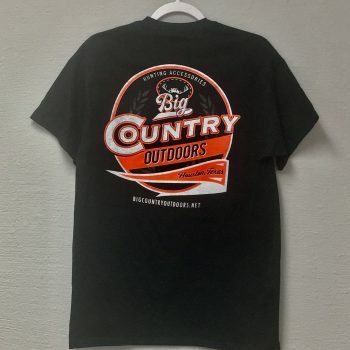 As evidenced by our company’s name, Big Country Outdoors provides hunters and outdoorsman with all of the equipment they need, including hunting ATV and UTV accessories. 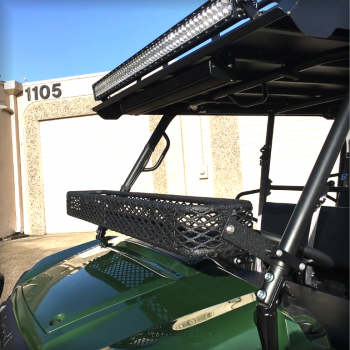 From hunting high seats to roofs designed with hunter’s needs in mind, we have everything you need to make your next outdoor trip an unequivocal success. 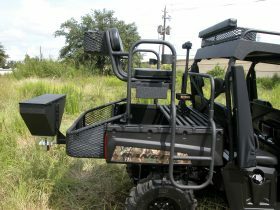 America’s #1 selling hunting high seat. 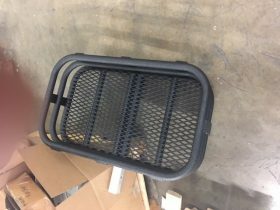 Modular system allowing you to add as you go. 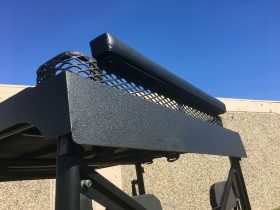 Strong and durable, our roof not only protects you from the elements, it also provides additional storage. 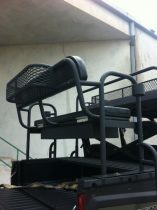 Comfortable, functional and easy to install, there is a reason this is America’s #1 Selling High Seat. Our modular storage systems allows you to add multiple storage options that fits your personal needs. 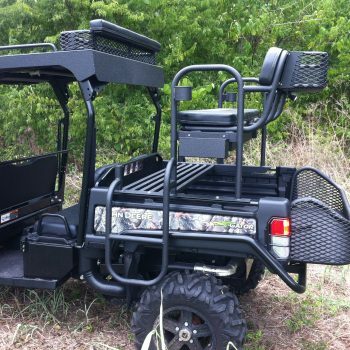 Big Country Outdoors specializes in durable, functional, custom aluminum hunting accessories that increase the performance of any make and model UTV on the market. Make a single addition to add storage and seating capacity, or add several pieces to reshape the functionality of your vehicle. 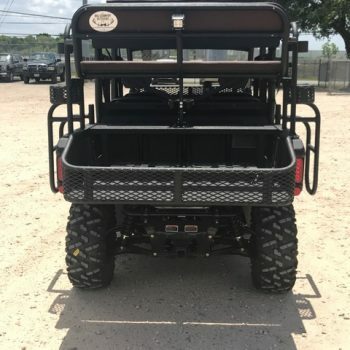 From high seats and storage baskets to roofs and tailgate extenders, let Big Country Outdoors build you a hunting vehicle to take on all your outdoor adventures. 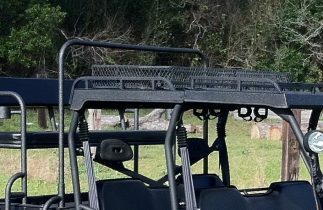 We carry a variety of gun mounts to suit any hunter’s needs. 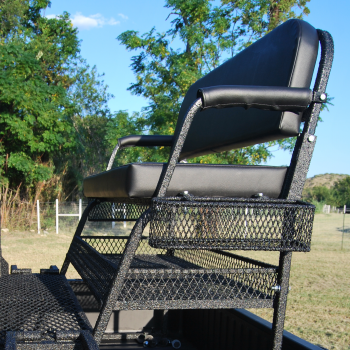 Unlock the full working potential of your UTV with Big Country Outdoors aluminum bed extender. 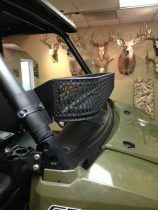 Big Country Outdoors stocks full replacement bumpers for all major UTV brands. 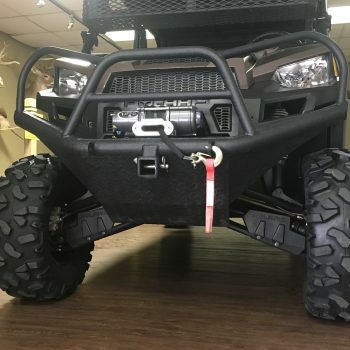 In addition to our standard product line, Big Country Outdoors also offers a full array of custom fabrication options for your, UTV, Truck, or Jeep. 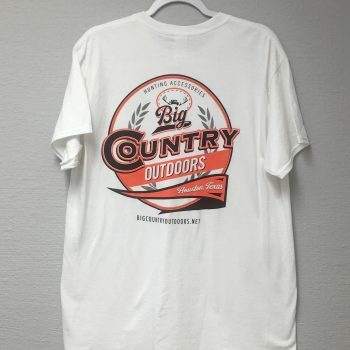 Whether you are looking to make an addition to one of our existing products, or in need of a one of a kind custom fabrication, Big Country Outdoors has the experience and expertise to bring your vision to life. 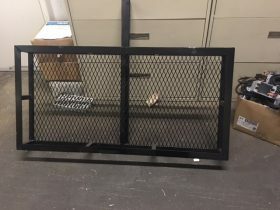 If you can dream it, we can bring your vision to life. 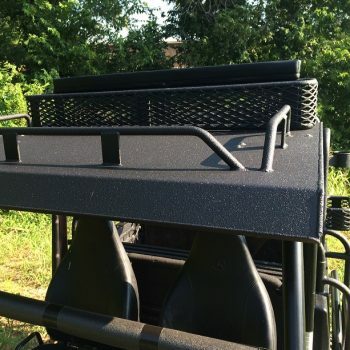 From custom paint colors to upgraded vinyl seats, we can customize our accessories to meet your needs. 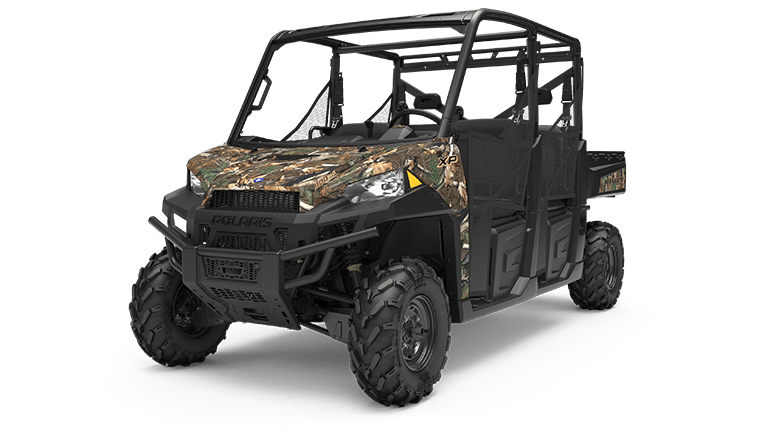 We offer more than just customized UTV accessories, let us be your one stop shop for all your hunting needs.